New members welcome! TLC meets the second Thursday of the month to help make the library a better place for teens by giving advice on programs, the teen area, and the library in general. 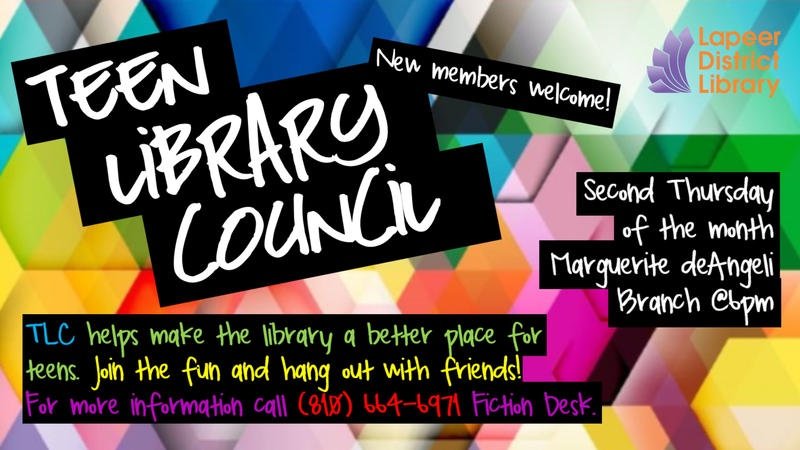 Call (810) 664-6971 fiction desk for more information.